I know we still have Halloween and Thanksgiving in front of us, but let’s be honest…you’ve thought a little bit about Christmas already, haven’t you? Even the stores have already rolled out Christmas decorations! I was sent a set of WOW Antlers to review, just in time for the start of the holiday season. 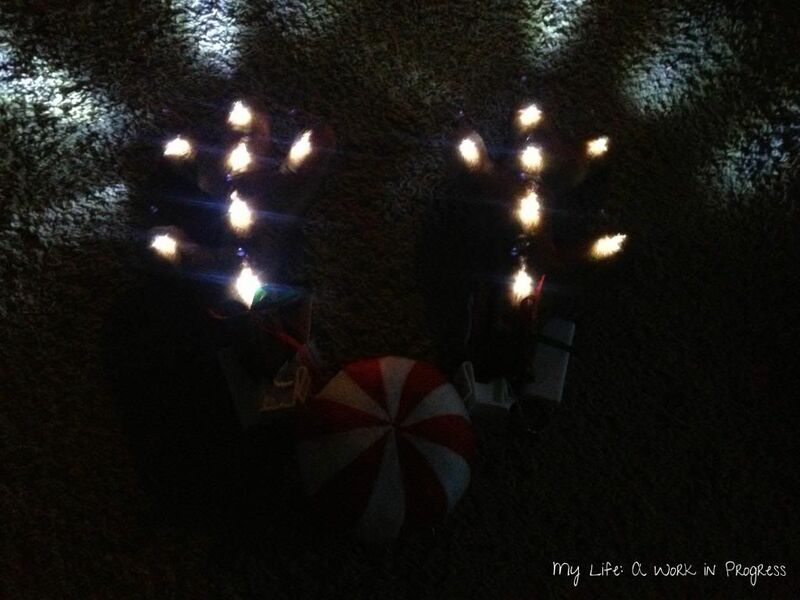 WOW light-up holiday antlers are sold by LB Marketing. After more than 20 years of supplying retail products to stores, LB has expanded to selling products online. The idea is to make life easier and save consumers a trip to the store. 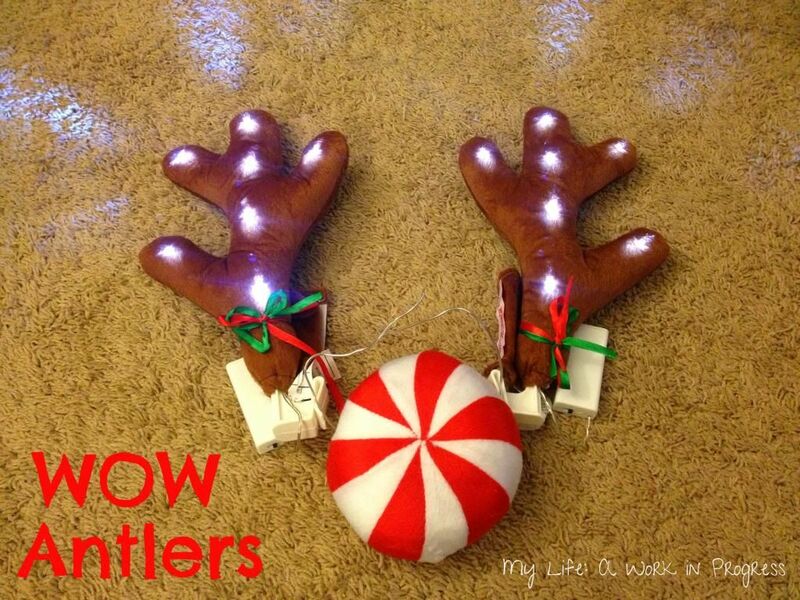 The antlers take four double A batteries (included) and have white LED lights. There are two types of antlers available- for vehicles and for bicycles (I received the vehicle ones). 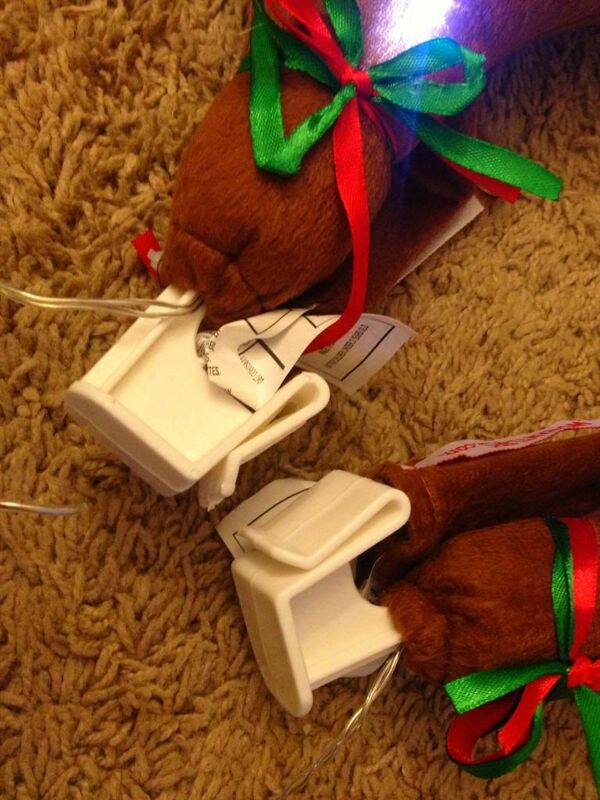 Each antler has a little battery pack that contains two of the four batteries. A little switch on the battery allows you to turn the lights on or off. 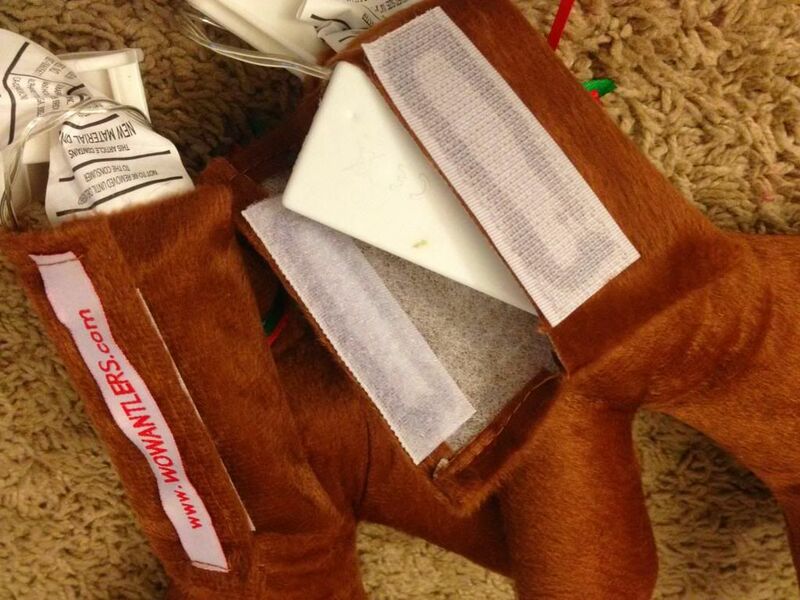 The battery packs can be placed inside a velcroed pouch on the antlers, to keep them out of the way. The clips at the bottom of the antlers fit up at the top of the car windows. The windows must be up for the antlers to stay secure. The candy cane nose can be attached to the car grill with a little cable tie (that’s not actually what it is, but I don’t know what to call it!). I have to say, the WOW Antlers website is exceptionally cute, and it’s interactive. They also have a countdown clock until Christmas (just 70 days from this posting- can you believe it?! ), and free printable coloring pages for the kiddos. The antlers are adorable and fun. Baby J loves them and gets very concerned if they’re not lit up: “Uh oh!” We haven’t put the antlers on the car yet other than to test them (I’ll wait until after Thanksgiving), but I’m looking forward to it. There were no issues getting the antlers installed. I’ll admit that I didn’t put the nose on yet, because my car really needs to be washed, and I didn’t want to touch the nasty grill…but it looks like there won’t be any issues putting the nose on. If you’re looking for a fun way to bring a smile this season, check out WOW Antlers. Be on the lookout for a giveaway starting November 1, when I’ll be giving away a pair of the car antlers! My daughter would love these! Cute! Did you see the bicycle ones on their website? I love them! Oh my gosh, these are SO cute! I’ve seen the anterlers and noses for cars, but never with light-up antlers! Can’t wait for the giveaway in November! These are so cute! totally gets me excited to start decorating for the holidays! Wow..Christmas time started with all colourful decorations and products of LED. I feel these are in my future 🙂 Very cute! Those are adorable! My kids would love those! That’s hilarious, I would totally get those antlers too. 🙂 It’s fun to see how they hold on to the car, I always wondered what held them on. My favorite holiday tradition comes from Germany. It’s Sankt Nikolaustag and it occurs on December 6th each year. That evening you put your shoes out and if you were good all year then Sankt Nikolaus comes and fills your shoes with fruits and nuts. However, if you weren’t so good, then your shoes are filled with coal. I have a strong German heritage running through my family roots and so this is a tradition I like to honor, especially after living in Germany for three years. That’s so cool! Thank you for sharing. My mother’s side of the family is German, but I don’t remember her talking about doing this with her family. I know her father’s parents stopped speaking German, etc., during World War 1, because they were worried about being persecuted since they were recent immigrants from Germany. I wouldn’t be surprised if they stopped any of their traditions at that time. I’m definitely going to ask her about that. Thank you! We love our Tradition of opening presents up with the family! Thank you for the chance to win, this is tooo cute! Happy Holidays! Our Christmas tradition is decorating the tree together while listening to Christmas music. Lots of laughs and fun conversations. Wow, these are super cute and so fun!!! Other than going to the inlaws each year we don’t have any set traditions. We do different things each year. I would love the antlers for the bicycle- my group cycling glass usually does something special the last class before the holiday, I think this would really be a great addition to our class!